AMOUDRY - The city is abuzz following the announcement of the renewal of the Olympic Games and the selection of Amoudry as the host city. King Landry, who remains an active professional golfer and the world No. 1, was present in the press room when the announcement was made, and told interviewers that he intends to play the Olympics at Amoudry National, a course he has won at many times, including his famous hole-out bunker shot on the final hole of an 18-hole playoff to defeat amateur Vivien Mangarelli (who also intends to play) and handicapped professional Will Gainsborough, who has met the qualification standards but has not yet announced his intent to play. Mr. DeChambeau was joined by Lourennian tennis sensation CoCo Mattek-Sands in announcing intent to play the day of the announcement. More athletes from around Terra are expected to join them in the next couple days. 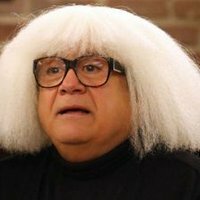 Updates and Reviews from projects, news, and events occuring in Lourenne. These updates are parts of Les Temps Economiques, La Defense Nationale Lourennais, and Les Nouvelles Lourenne. In 4432, Matériaux Souverains, The Ministry of Education, and The University of Delaune announced a large project to improve schools, build school, and improve education standards. To this date, Matériaux Souverains have built 5 brand new schools in the Greater Valois Metropolitan Area and have renovated 10. Matériaux Souverains have upgraded schools who have been built before 4400. New schools were built in Valois's low-income neighborhoods in the east and south parts of the city. New schools built by Matériaux Souverains will each have enough space and classrooms to fit 800 students (3,000 for higher level education). Members from the University of Delaune have been constantly working with kids and lecturing them on studying tips, healthy lifestyle standards, and the balance between a social life and school. Matériaux Souverains will be expanding to smaller cities as their project continues. The will be focused on cities in Louives and Outannais. The Ministry of Defense successfully announced the creation of 8 Delaune Class frigates at Orleans Naval Station Base in Parmentier. In 4427,Valruzia purchased 5 Delaune-Class Frigates from Lourenne at a total of 3.4 Billion LFR. At that time the Lourennais Navy had a total of 7 Delaune Class frigates originally built. Lourenne sold 5 to Valruzia and was left with 2 frigates. With the payment from Valruzia, the original team of constructors Entreprise Des Défénseurs , Capet-Fouquet Industries, and Manon-Maison Communications set out to construct 8 frigates to add the Lourennais Navy. As of March, The frigates were completed and spent a month in preparations and testing in Valois and at Orleans Naval Station Base. The new ships is the last project that the Armed Forces plan to do in a long time. Not only do these 8 ships satisfy the ministry's needs, but are enough to protect Lourennais trade and waters. Metro stations in Eroncourt have begun to bring more people each day. The Lourennais Train and Transportation Association set out to upgrade many of Lourenne's subway tunnels and metro systems. Stations and subways in Valois have been remodeled and upgraded, however, Valois had already experienced a transportation re-haul before so many of its subways were already in a 'good' condition. The focus of a new and upgraded transportation system was on cities such as Eroncourt, Liroux, and Thiers. The updates included renovated stations and improved trains and buses. Currently, there are as much as 35 train stations in Eroncourt that have been remodeled according to plans set out by the association. Thiers has 15 stations that are currently being remodeled and Liroux has rail systems being created through the mountains in the south. Expected time frame for the renovation and completion of all station and rail systems is expected to be in 4441-4443. Recently, the Dorvisch and Lourennais government held negotiations in Haldor at the Northern Council Economic Forum where Canrillaise Defense Industries (CDI) struck a deal with the Artanian Defense Corp to supply Canrille with up-to-date weapons for all countries specifically Lourenne. The deal also came with a 250 B LOD investment into the Federation of Canrille also mainly aimed at Lourenne. According to the Ministry of Defense approximately 100 B of the 250B LOD investment will be for Lourenne and will be used to upgrade and create weapons manufacturing as well as open new manufacturing centers in Lourenne. 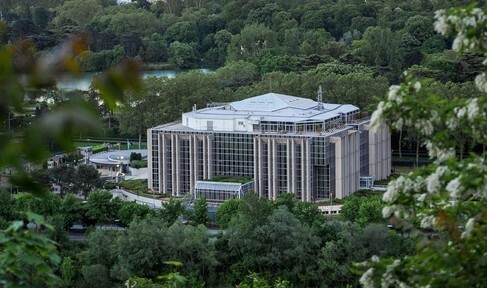 Entreprise Des Défenseurs is expected to benefit from this investment the most. 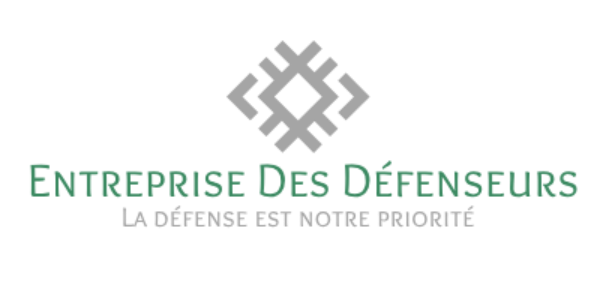 Currently leading weapons sales and vehicle manufacturing in Lourenne, Entreprise Des Défenseurs has announced that this is a "fresh start for cooperation between Dorvik and Lourenne. We hope this is only the beginning for progress and diplomatic advancement between our countries." The Defense firm from Outannais will be opening three new manufacturing centers and an operating base in Outannais with money from the investment. These new centers will almost certainly have job opportunities for people and will boost manufacturing in Outannais (the current military development powerhouse in Lourenne). Manufacturing from (EDD) will range from new weapons for the Infantry Component, New vehicles for the Infantry Component, and new aircraft fighters for the Aerial Component. Production has begun on new weapons and construction on new manufacturing centers has begun as well. Completion of the new manufacturing centers is expected to be in 4441.
very little compared to the harsh losses from the Kalistani economy. Little to no companies are actually overseas in Kalistan. Economic expansion could have occurred between Lourenne and Kalistan if a proper economic treaty was put into place. traveled to Kalistan to help aiding the homeless people that have resulted from the recession. is not certain at the moment, Eroncourt has not ruled out the possibilities of it happening soon. their support for the Lourennais army to intervene but they will have no power in commanding the armed forces whatsoever. The Royal assembly has decided to intervene to establish political goals within Mordusia as well as setting "concrete relations"
is at the brink of escalating further once Lourenne arrives in south seleya. Last edited by Luis1p on Thu Aug 23, 2018 11:38 pm, edited 1 time in total. In 4432, the governments of Canrille reached an agreement to begin to build multiple military bases in South Seleya. The announcement came from the Ministry of Defense in 4432, when construction had begun. Construction first began in Kanjor. One naval base was built in Sologne. Named after the city it's located in, the naval base is available to Northern Council nations, the Lourennais navy, and the Kanjorien Navy. Another small naval base was built and opened in Nompiègne. This naval base, however, is only open to the navies from Kanjor, Rildanor, Alduria, and Lourenne. This base will be host to many military training for the Federation. In Rildanor, a medium-sized air base was completed in the outskirts of the city of Fountaine. This base will hold approximately 10 to12,000 Lourennais troops and will be a center for joint training. Air Base Cuomcana will also be used as refueling stations for flights from Canrille Air Lines. Finally, another Air Base was constructed in Charday, Alduria. Air Base Vernaux is the last Northern Council open base in South Seleya. Vernaux Airbase is available to all Northern Council nations. Multiple companies worked hard to conplete the bases. The bases were a large project between the entire Federation of Canrille and its private companies such as Capet-Fouquet Industries and Matériaux Souverains in Lourenne. However, most of the construction was set out by Kanjor and Lourenne whose economies are better than thise from Rildanor amd Kanjor. Joint military training is set to occur in the following months between the Fédération in the Anantonese Ocean in Lourenne and in the new naval bases in Kanjor. This morning, news broke that the Kizenian government was legalizing capital and corporal punishment. On behalf of Lourenne and all of Canrille, I strongly condemn the High Chancellor and the 295 legislators that supported this ridiculous and cruel form of punishment. Nobody should ever have to lose their life or be physically harmed as punishment, regardless of their crime, especially if they committed a crime that didn't directly harm anyone, such as a drug offense, which is also covered in the new policy. Prisons and penitentiaries are places for rehabilitation of inmates where everyone should feel welcome, not dungeons of abuse where inmates are caned, whipped, and starved. What disheartens me the most is that the Chancellor and President are seeming to laugh off systematically abusing and killing inmates. Nobody should have to lose the gift of life as punishment for a crime, and it's certainly not in the government's power to be taking it away from them. The prison system is not a place for abuse, but rather rehabilitation. I beg the international community to look at these atrocities and push Kizenia to change their policy. Majority Leader Emily Triplett also condemned the decision, adding that party and diplomatic leadership is "deeply disappointed and appalled". Over. 20,000 Lourennais troops effectively and successfully landed on the beaches of the Eastern province of Adubura in Mordusia. landed in Southern Hosamia and in Central Adubura as the Lourennais army plans to create another front in the east. in an effort to bring down resistance in Mordusia. fronts in the east and south and they are looking to install incisive and swift tactics when taking over the mordusian countryside. Lourennais troops are more than ready to face Mordusian resistance as troops begin to push forward deep into Mordusia. The Ministry of Defense has released a map of the location of taken territory in Mordusia. Valois Environmental Project Complete. Valois becomes a "Green City"
Decade-long efforts to create a environmentally protected city and upgrade the city's energy sources has been a success. focused on making the city green. To do that, the city officially added more than 15 new protected park areas in the city. TLG Écologie have stated that each Garbage Disposal Center will generate approximately 400 jobs within the first 5 months in service. following the small impact from the Kalistani recession. Parks have been opened for environmental purposes in the city. the conservation of Terra and learning about nature in the city. These centers are also centers for jobs and will employ at least 40 people. that use up hundreds of LFR each month to electricity costs. The final product of the product is approximately 5,000 new jobs in the city and the preservation of the environment in Valois. 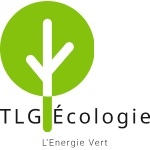 TLG Écologie have now begun to create new projects to spread to small, rural towns as well as the capital Eroncourt. Last edited by Luis1p on Thu Aug 23, 2018 1:54 am, edited 1 time in total. Lourennais involvment in Mordusia continues, Rebels and Lourennais troops encircle enemies. forces and 21,000 for the Republican forces.The forces are continuing to move into Talasor slowly, meeting heavy resistance. Several civilian militias have been noted in key cities,aligning themselves with or against the rebellion. have stated that the country will be "going into a period of re-building, economic expansion, and monetary sustainability." intervention is not on behalf of the Northern Council, something that Istalia and both Vanuku both ignorantly deny to understand. Yet, intervention in Mordusia "will continue regardless of the words from Istalia and Vanuku", according to the Ministry of Defense. spending levels to a lower maximum while the war continues to play out.